Nigerian Dwarf Goat milk is some of the richest and fullest goat milk you will get from any breed. Known for their small size and popularity amongst small farmers, the milk from a Nigerian Dwarf Goat is very high in butterfat and is often used to make cheese. Despite their small size Nigerian Dwarf Goats create a surprising amount of milk, anywhere from one to eight pounds per day. This ammount is much more than other miniature goat breeds such as the Nubian Dwarf Goat. In addition, the Nigerian Dwarf goat is a year-round breeder which means that a herder can stagger the births of his “kids” so that they will always have a Doe who is producing. A Nigerian Dwarf Goats milk averages 6.5% butterfat which is higher than most other dairy goats. The Nigerian Dwarf goats coat can come in many different combinations of the colors: gold, black, cream, chocolate, and white. There is no real distinguishable pattern that appears in the coloring, but certain goat lines do posses a hereditary type of pattern. Different patterns include: buckskin, Swiss marked, and Chamoisee. There are many places you can find a Nigerian Dwarf Goat for sale, but ideally you would want to find one from a local farmer. Because of the huge popularity of these goats on American hobby farms, it’s very likely that there is a breeder near you who may have goats available. However, instead of driving around from farm to farm looking for a front yard sign that reads “Baby Nigerian Dwarf Goats For Sale”, you could save a lot of time and check your local classified ads. There is really not an easy or simple way to sell goats anymore, so most breeders have to advertise to find people who are interested in buying their goats. Check your local paper or farm journal for the classified section. Even if you don’t see anyone listing goats, you can call someone who has other livestock for sale and ask them if they have any Nigerian Dwarf Dairy Goats for sale. Even if they don’t personally have any, they probably know someone who does and can point you in the right direction. 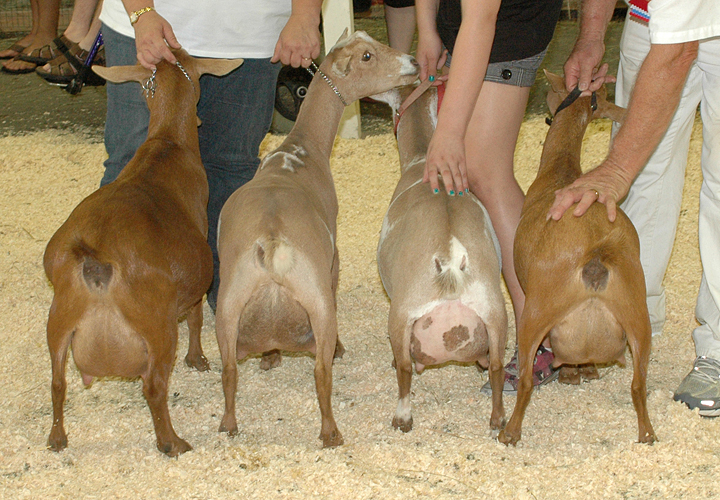 Another great way to find your new goat is the head to the local country fair and check out the goat exhibitors. Usually these people are hanging around their pens and are available to talk to, ask questions, and inquire with about purchasing a goat. This is actually one of the best ways to get involved in the goat industry because these people are probably Nigerian Dwarf Goat breeders and some of the leading experts in your area. Not only will they be able to tell you where to get a goat of your own, but they are a wealth of knowledge about everything from nutrition, to grooming, health, and breeding Nigerian Dwarf Goats. Make strong connections and keep in touch with them, they can be the difference between your success and failure! If you don’t happen to have any fairs or livestock shows coming up near you, and you haven’t been able to locate a farmer who has any Nigerian Dwarf Goats for sale, don’t fret! There are still some other avenues to check out before you abandon your search! Due to the difficulty many small breeders have had in selling their goats, some have turn to advertising online. There are hundreds of small Nigerian Dwarf Goat Breeders who have their own websites advertising their stock and providing detailed information and pictures of each goat. The results you see in Google should tell you if there are any breeders close to you, be sure to check the second and third page of the results. The Nigerian Dwarf Goat Association website is also a great resource for finding potential breeders near you. Check their contact pages to see if there is someone close to you who may have a perfect goat for sale! Another place to check online is the website goatfinder.com, this site has listings of many different types of goat breeds from many different breeders all over the United States. In fact they have over 300 breeders listed across over 40 states as we speak! After acquiring your initial goats, one of the true joys of having a small farm is getting to see the miracle of life. Breeding your goats is a simple process, but does take some experience to do well. 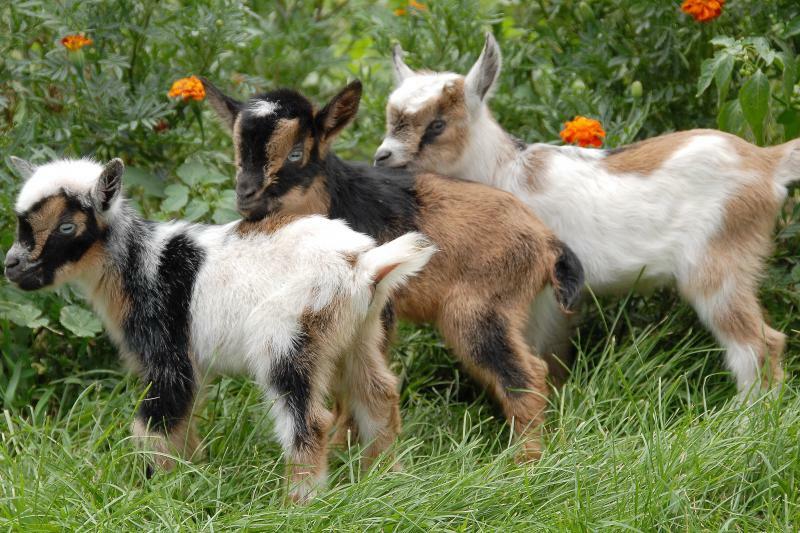 There are many factors to consider when deciding when and how to breed your goats. When during the year do you want to milk? How often do you want your does to produce? Keep in mind that unless you own a Buck you will have to pay a stud fee to the owner of the male you are using to breed. If you do own your own Buck you will need to keep it separate from the Does during most of the year. Does shouldn’t be milked during the first two weeks after giving birth, however you do need to keep an eye to make sure that the kids are nursing from both sides of the teats. Sometimes the kids will get in a habit of nursing only one side for a few days which makes the opposite side swell up and expand. This vicious cycle makes it hard for the Kids to nurse the swollen teat and thus, they choose to only nurse from the easier side. If this happens you will need to hand milk the swollen teats to release the pressure and try to make sure the Kid(s) are nursing both sides equally. After two weeks you will be ready to start milking the Does. Keep the kids locked up in a “Kid pen” at night so they can’t nurse after their evening meal. In the morning you can milk the Does. Be sure at first to leave enough milk in the udders to feed the Kids, and after a couple of weeks the Does will learn to “hold back” some of that milk so the kids have enough o eat and you will be able to fully milk here each morning. Looking for Nigerian Dwarf breeder in South Africa. we need one male and one female kids of world`s smallest breed of goat at India,Gujarat state where semi desert atmosphere is available.let us know the cost including all expenditure.we have our indigenous cows and best mares at our farm.